The quick growth of the elderly population demands an equally quick growth in suitable housing. This elderly population is forced to be more independent then ever due to new family structures and altered economic conditions. Furthermore the social security system will only benefit from bringing the necessary care in their private homes as long as possible. Elderly housing has a very broad meaning. There is not one type of elderly people. Everybody is different and has different needs. The housing has to be geared towards this diversity. 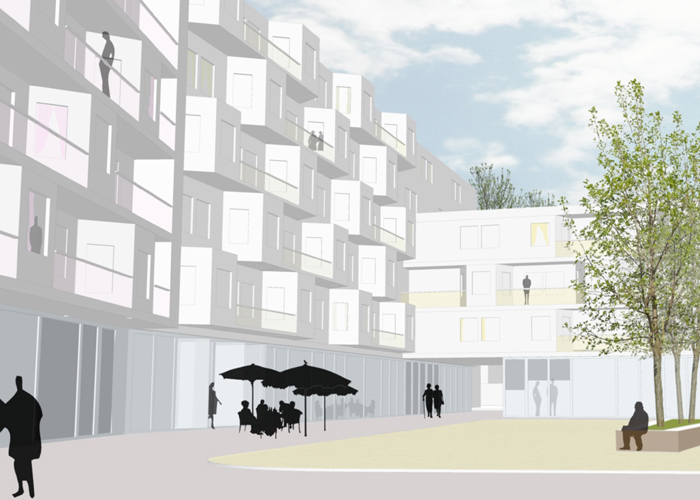 We have to conceptually explore new and adapted housing typologies for the elderly. In our projects we treat the elderly in the first place like all the other residents of a neighborhood and their house as any other house in the neighborhood. 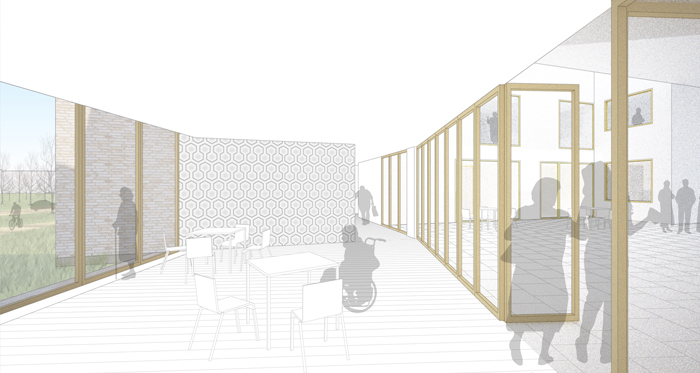 We want to radically rethink the traditional image of elderly housing as a inward-looking care institution. 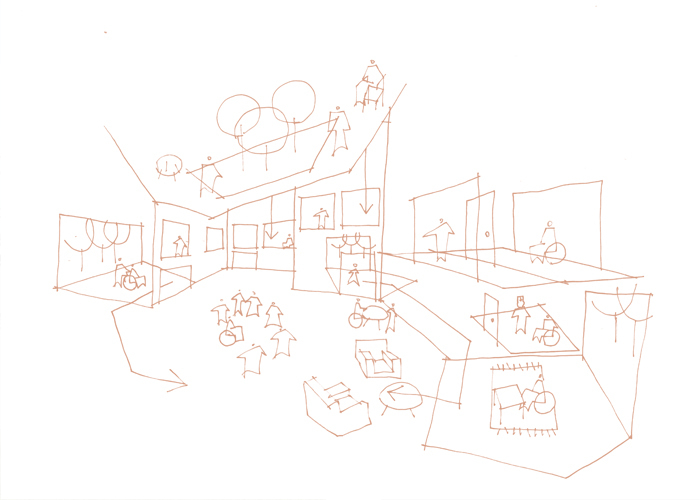 The institution dissolves and becomes an active part of the neighborhood. 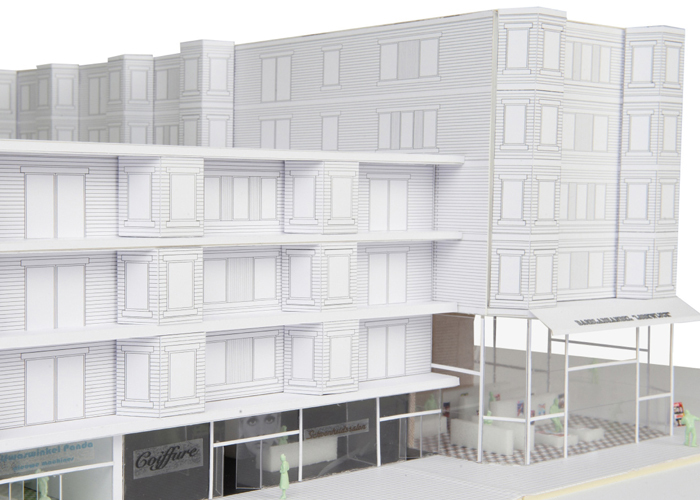 We use the existing context as our point of departure in our search for the right scale and identity of the new buildings. 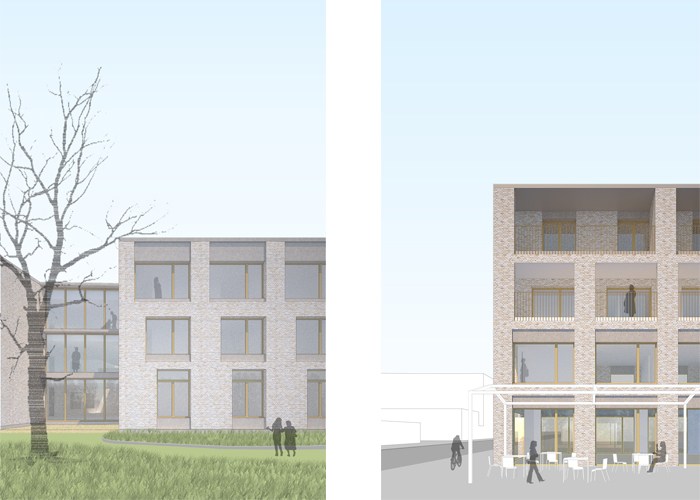 We use the diversity of the elderly population to change the generic care institution into a collection of individually adapted housing typologies, granting authenticity to the new building. This will not only benefit the well-being of the elderly inhabitants, it will also assure a better spatial integration into the existing neighboring context. Moving away from the familiar context of your old house into an elderly home is often a big and emotional step. It is our conviction that, regardless of the physical and psychological condition of the resident, familiar objects and furniture should be used to soften this transition and appropriate the new house as soon as possible. We should assure enough space and flexibility to shape the new house to individual demands and possessions. This is not always easy to realize within the strict norms and subsidization standards, but to us it forms a crucial part of our exploration of more personalized housing typologies for the elderly. The resident stands at the center of our ideas about elderly care. Efficient service is important but should be something automatic that happens in the background. Efficiency in personnel and means is crucial in contemporary care models. But efficiency should not automatically lead to largeness of scale or uniformity. It is important that care institution are willing to look at new concepts without prejudice. If we want to achieve a caring and efficient elderly housing, designers and care institutions should work intensely together. In our project for the Melgeshof nursing home, currently in execution, we worked on a smaller scale clustering of residential groups, without hindering the care service. 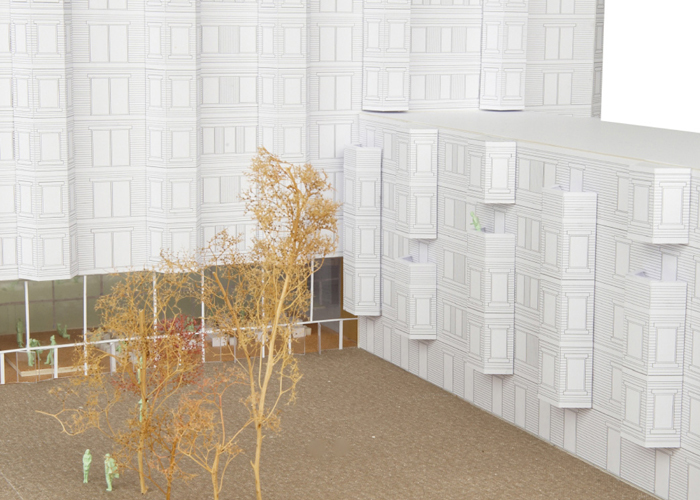 In the competition design for the Gitschotelhof nursing home we continued this research. 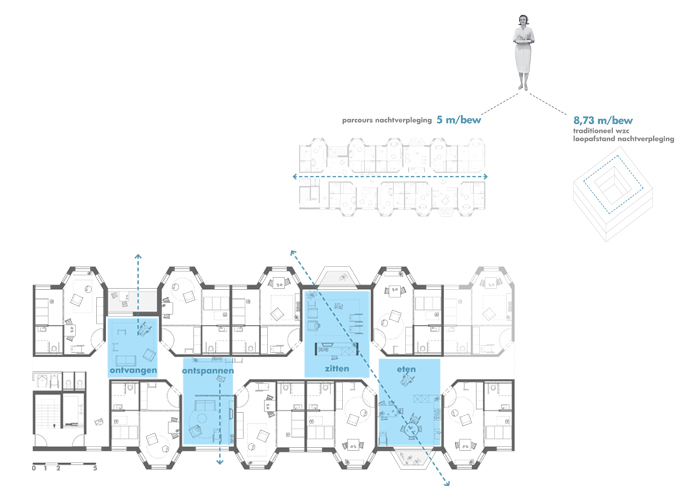 To assure a domestic feeling we worked with residential groups of maximum 8 housing units. Every group has their own front door directly to the street. By clustering these groups together in an intelligent way we are able to combine a cozy homey feeling with the necessary overview and efficiency for the service. 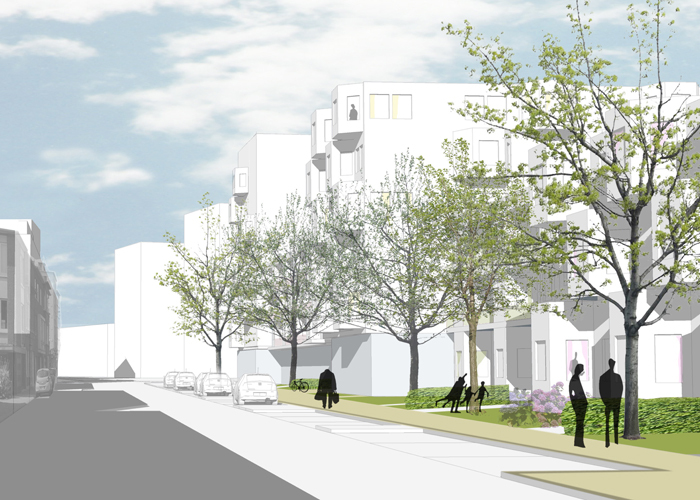 In the design we use new and various types of open spaces to strengthen the social network and to connect the nursing home to the surrounding neighborhood. We look at the new development as if it was a building block in the city. We use the language of the context and maximize the integration by adding some publicly accessible functions. 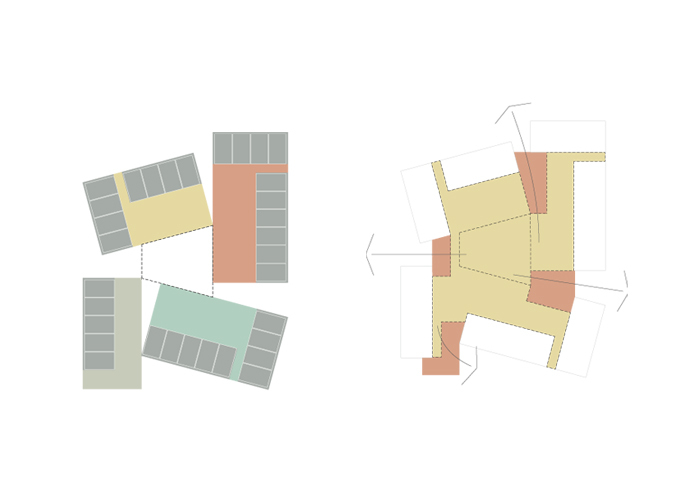 In the competition design for a nursing and service center in Ostend we divide the different programs in a cluster of 4 houses on the project site. One of the houses, containing the most public elements, is pushed towards the street and makes contact with the neighborhood. Every one of the four houses contains a certain amount of housing units and are collected around a covered ‘village square’. 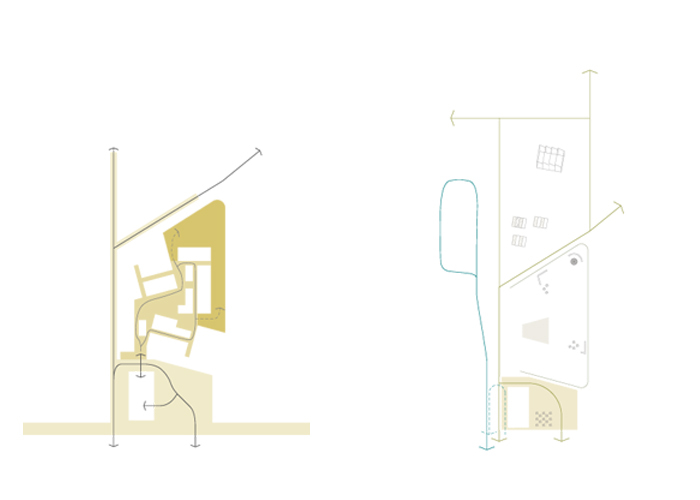 The result is a well-functioning and legible building that radiates a hominess and small scale.